Need to see in what category or project a task is in from your day view? Use the category context strategy! Use the category context strategy to get more context (what project or category a task belongs to) for a task in your day view. 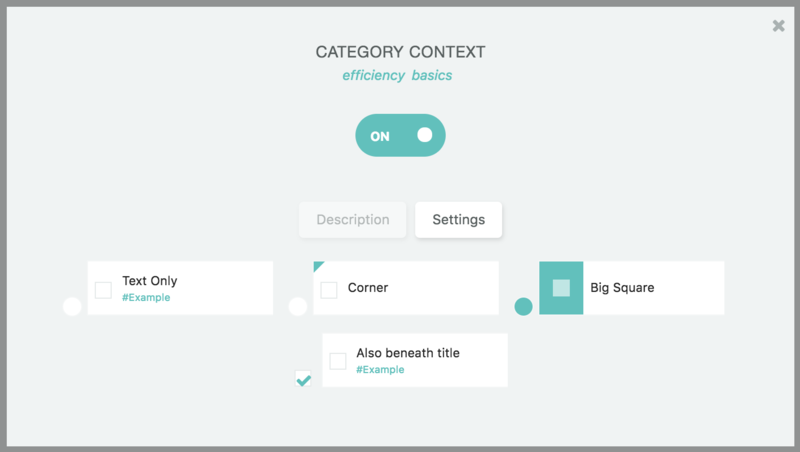 Turning on the category context strategy enables you to see a task with some added context of where the tasks belongs in your Master List. You can choose in the settings (click on the strategy card then on the settings button) how the context should be displayed. You can choose to see the immediate parent as text underneath the title, have an additional colored corner or big square on the left or only have the corner or square shown without the text. The color for the corner or square is the color you picked for the parent category/project in the Master List. Hovering over the colored corner or square will show you the name of the parent category/project.